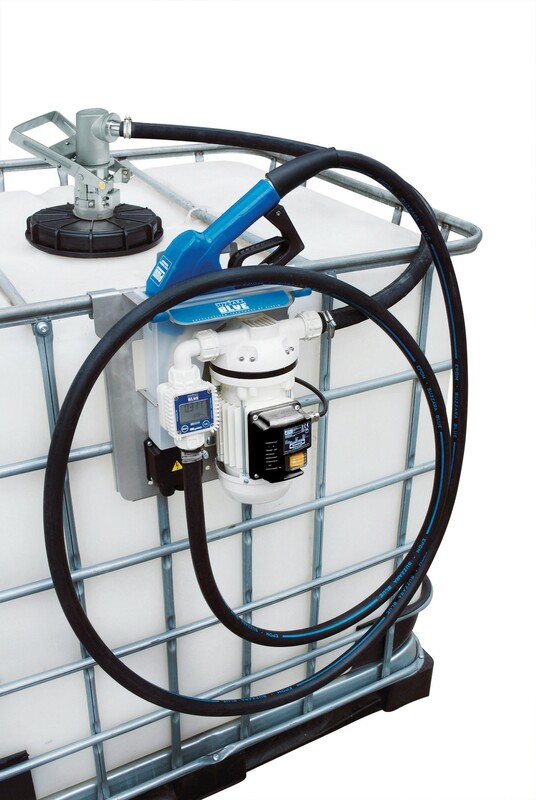 Fill-Rite FRSA120800MN 115 Volt AC Diesel Exhaust Fluid (Urea) Electric Pump delivers up to 8 GPM. This pump has 3/4" BSPP threads. Fill-Rite FRSA120800N 110 Volt AC Diesel Exhaust Fluid (Urea) Electric Pump delivers up to 8 GPM. This DEF pump has 3/4" NPT threads. 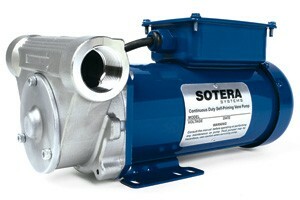 Fill-Rite FRSA120801MA 115 Volt AC Diesel Exhaust Fluid (Urea) Rotary Vane Pump delivers up to 8 GPM. This pump has 3/4" BSPP threads. Fill-Rite FRSD120800MN 12 Volt DC Diesel Exhaust Fluid (Urea) Electric Pump delivers up to 8 GPM. This DEF pump has 3/4" BSPP threads. Fill-Rite FRSD120800N 12 Volt DC Diesel Exhaust Fluid (Urea) Electric Pump delivers up to 8 GPM. This DEF pump has 3/4" NPT threads. Fill-Rite FRSD120801MA 12 Volt DC Diesel Exhaust Fluid (Urea) Rotary Vane Pump delivers up to 8 GPM. This pump has 3/4" BSPP threads. 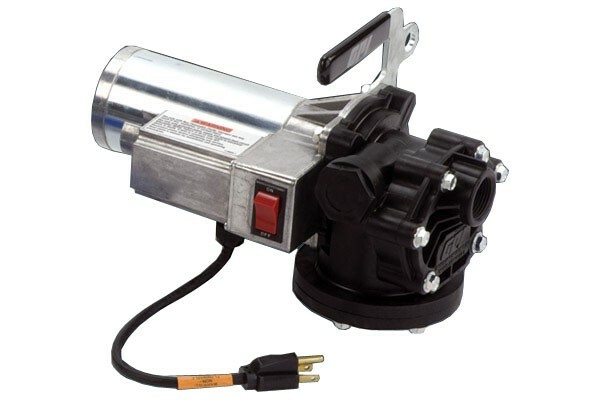 Fill-Rite SV20A1DNSD 115V AC DEF Stainless Steel Rotary Vane Pump delivers up to 20 GPM. This pump has 1" NPT threads. 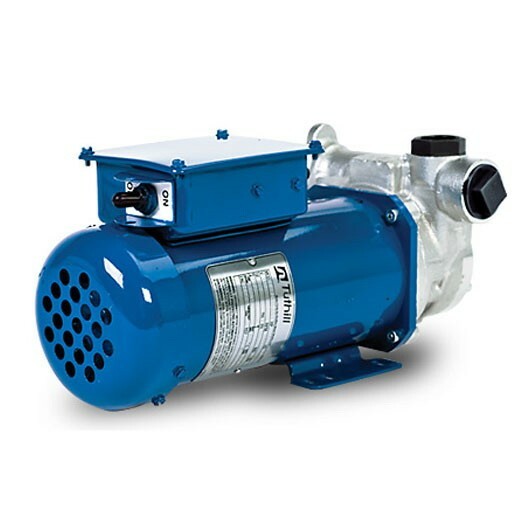 Fill-Rite SV20A1DBSD 115V AC DEF Stainless Steel Rotary Vane Pump delivers up to 20 GPM. This pump has 1" BSPP threads. GPI 118450-03 P-120-DEF-2TC-PO 115 Volt AC Diesel Exhaust Fluid (DEF) Transfer Pump with Check Valve delivers up to 12 GPM (45 LPM). It is ideal for use on Barrel applications. Comes with DEF manual nozzle and DEF 12' hose. 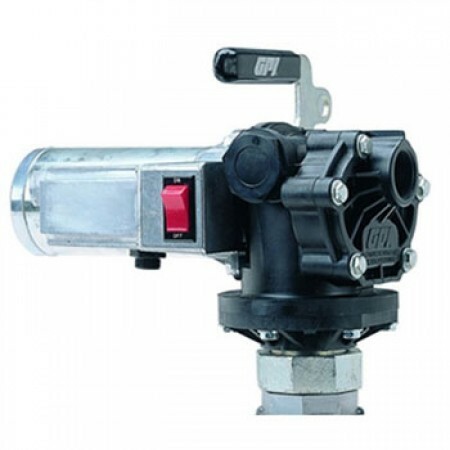 GPI PA-120DEF 118450-30 115 Volt AC DEF Transfer Pump delivers up to 12 GPM (45 LPM). Comes with 115-volt pump, DEF automatic nozzle, hoses, 4-Pin RSV micro matic coupler, clamps and fittings. The Tecalemit US108601200MM Hornet W85 DEF Tote Pump Pro is an electrical true self priming hybrid pump. Comes with meter, SS auto nozzle, RSV Coupler, 15 ft. dispense hose, 4 ft suction lift. The Tecalemit US108601200 Hornet W85 DEF Tote Pump Pro is an electrical true self priming hybrid pump, with a robust reputation and a 20% higher flow rate than any other DEF pump on the market. Comes with meter, SS auto nozzle, 15 ft. dispense hose, 4 ft Suction lift. The Tecalemit US108600006 Hornet W85 DEF Tote Pump (Pump Only) is an electrical true self priming hybrid pump, with a robust reputation and a 20% higher flow rate than any other DEF pump on the market. The Tecalemit US108600400 Hornet W85 DEF Auto Drum is compatible with DEF, coolant, light duty lubes, water, windshield washer fluid, and light duty agricultural chemicals. Comes with SS auto nozzle, 15 ft. dispense hose, 4 ft Suction lift. The Tecalemit US108600400MM Hornet W85 DEF Auto Drum is compatible with Diesel Exhaust Fluid, coolant, light duty lubes, water, windshield washer fluid. Comes with SS auto nozzle, RSV coupler, 15 ft. dispense hose, 4 ft suction lift. The Tecalemit US108600401MM Hornet W85 DEF Auto Drum Pro is compatible with DEF, coolant, light duty lubes. Comes with meter, SS auto nozzle, RSV Coupler, 15 ft. dispense hose, 4 ft suction lift. The Tecalemit US108600600 Hornet W85 DEF Drum is compatible with DEF, coolant, light duty lubes, water. Comes with Manual Nozzle, 15 ft. dispensing hose, 4 ft suction lift. The Tecalemit US108600600MM Hornet W85 DEF Drum is compatible with DEF, coolant, light duty lubes. Comes with manual nozzle, RSV coupler, 15 ft. dispensing hose, 4 ft suction lift. 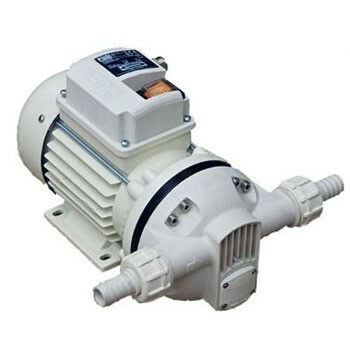 The Tecalemit US108601600 Hornet W85 DEF Tote Basic Pump is an electrical true self priming hybrid pump. Comes with manual nozzle, 15 ft. dispense hose, 4 ft suction lift. The Tecalemit US108601600MM Hornet W85 DEF Tote Basic Pump is a electrical true self priming hybrid pump. Comes with manual nozzle, RSV coupler, 15 ft. dispense hose, 4 ft. suction lift. 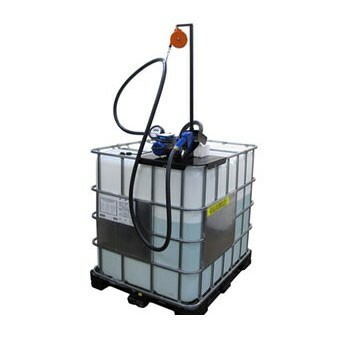 The Tecalemit US108601601 Hornet W85 DEF Auto Tote with Auto Nozzle is compatible with DEF, coolant, light duty lubes, water. Comes with auto nozzle, 15 ft. dispense hose, 4 ft suction lift. The Tecalemit US108601601MM Hornet W85 DEF Auto Tote with Automatic Nozzle is compatible with DEF, coolant, light duty lubes, water. Comes with auto nozzle, RSV coupler, 15 ft. dispense hose, 4 ft suction lift.